Glossybox September ....What did I get? You were lucky enough to see my mug for the last Glossybox post but I thought for now I would go back to written form and you can tell me which you prefer. 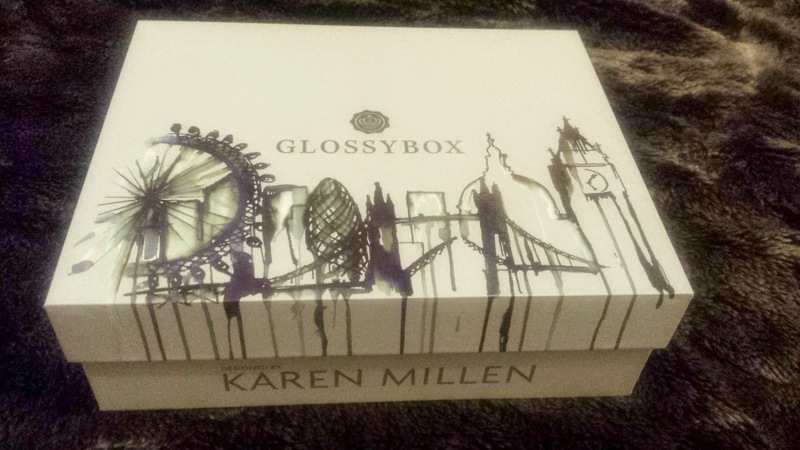 This month box was designed by Karen Millen which makes a change from the usual pink boxes. Check it out. I love the dripping effect that comes down the sides of the box and how all the big London monuments have been captured. As always the products were beautifully wrapped in tissue and ribbon. These are the first products that caught my eye. L'Oreal Professionnel - Mythic Masque - A hair masque which will revive and nourish hair. This is for all hair types. I use a lot of hair masques so this is a great product for me which I can't wait to try out. It smells beautiful and is a generous 75ml sample. The full sized 200ml product retails at £15.50. This one is Glossybox's fave product. 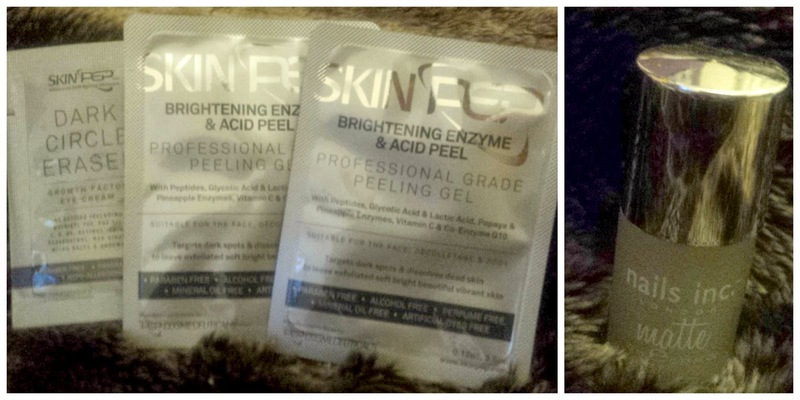 Skinpep - Enzyme & Acid Peel & Peeling gel- This luxury skincare product is for exfoliating and helping achieve soft, bright skin. I love the sound of the pineapple and papaya extracts. I am excited to use this as I love peel masks. These are a one use sample. The full size product comes in at a massive £89.99 for 180ml. This also comes with a sample of their eye cream which is to help reduce dark circles. Age and lack of sleep means I am well up for this product. Nails Inc- Westminster Bridge Matte Top Coat- A full sized product sample woo! This is said to be award winning. Helps achieve a matte finish for nail varnishes and also help stop them from chipping. I am the queen of chipped nails. RRP £12. An interesting box. 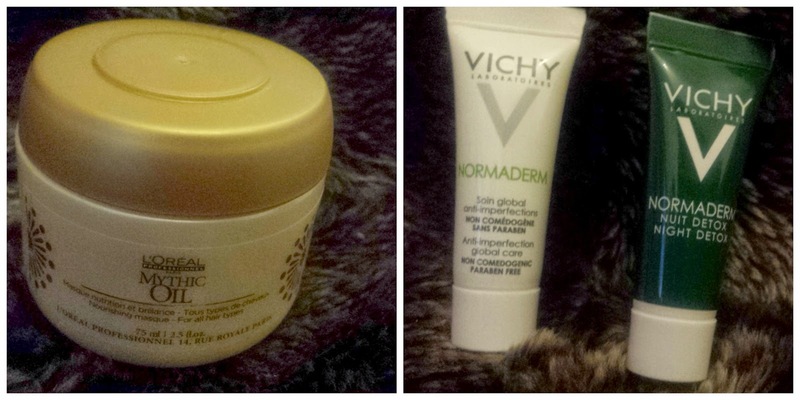 I was happy to get some skincare products as my skin has been a nightmare recently so could use a new boost. I will let you know how I get on. Did you get anything different in your Glossybox? I love the box with it's London skyline. I have a bit of a thing about boxes lol. I could do with some of the More Brows - my brows need all the help they can get! I got the same things in my box! I'm a bit scared of the peel mask but I might give it a go now!